Councilman Alex Mendez, who is running for mayor promising responsible management of municipal finances, has received half-dozen delinquent payment notices from the Passaic Valley Water Commission threatening water service shut off, according to government records obtained by the Paterson Times. Mendez received the notices between Aug. 23, 2016 and Feb. 15, 2018. His last notice was sent to his home on East 19th Street warning him to pay by Mar. 15, 2018 or face a $40 penalty and water service shut off. Mendez did not respond to a call and message seeking his comments for this report. 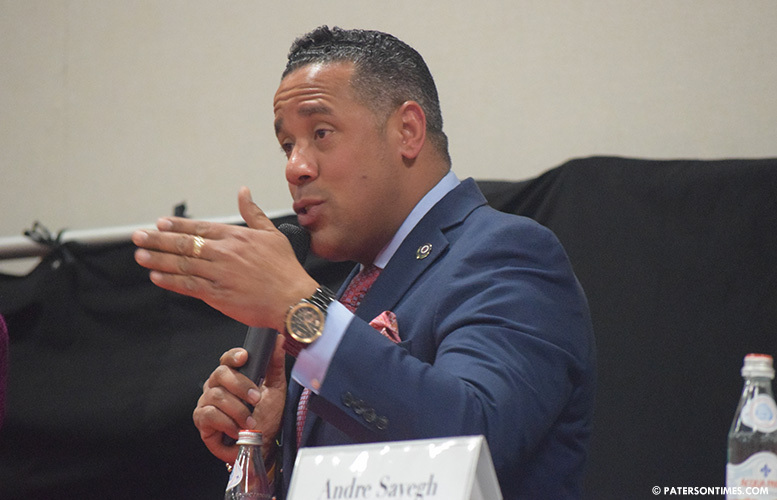 Other candidates running in the mayoral race saw an apparent disconnect between Mendez’s rhetoric to better manage municipal finances and his failure to properly manage his personal finances. Mendez’s political signs are ubiquitous in the Silk City. He has failed to file his 29-day pre-election campaign finance report on time leaving the public in the dark as to who is paying for his signs. “I’m not sure what to make of it,” said councilman Michael Jackson when told of Mendez’s water bills. “He’s over selling his abilities.” He suggested Mendez may not have the ability to responsibly manage municipal finances. Jackson also questioned Mendez’s business and his legislative records. Mendez has outstanding liens against his home for unpaid sewer bills from 2013, according to Passaic County government records. He was in arrears in paying his sewer bills earlier in the month. Mendez is current on his sewer bills as of Thursday morning. Mendez has come under criticism for issuing dozens of bad checks that led to thousands in overdraft penalties against his campaign bank account. A review by the Paterson Times uncovered 46 instances of overdraft from 2011 through 2018. He paid $3,400 in bank fees, mostly for issuing checks with insufficient funds in his campaign account. Mendez made a payment of $169 to the Passaic Valley Water Commission on Apr. 2, 2018 to avoid water service shut off. All the money these thieves receive in bribes and steal and they can't pay a lousy water bill? the only good thing about Mendez running for Mayor is he have to give up the council seat. which is good for the city.